It was a long wait, and Rain did not disappointed Jamnagar. Till the last news Lalpur , Jamjodhpur and Bhanvad had received almost 3 inch of rainfall yesterday. Khabhaliya, Jodiya and Kalavad received 2 to 2.5 inch of rain. 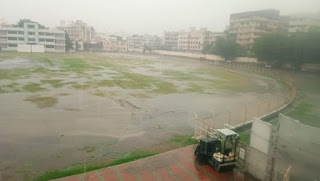 Jamnagar city recorded around 0.5 Inch of rainfall.